Our trek begins from the town of Rishikesh. Morning, after breakfast we drive for a good 7-8 hours to reach Sari. The drive, though long is beautiful as we drive along the Ganga, Alaknanda and Mandakani rivers. 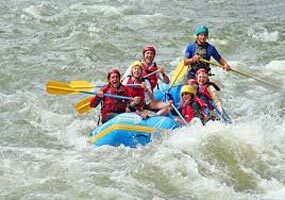 Enroute we stop at Deoprayag which is another important Hindu site, known for the confluence of two distinct colored Bhagiati and Alaknanada Rivers, which then flows down as the Ganga. 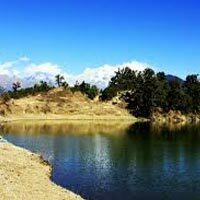 Once in Sari, we trek for a short while to the beautiful Himalyan Lake, Deorital. This trek does not take long but is steep, often giving a good view of the surrounding villages. While you trek up, we carry your gear ahead of you so that you find your camps ready at the bank of the lake. You can take the day off to explore the area around and then retire to your cozy tents after a good, wholesome dinner. The mornings in the Himalayas are one to look forward to. Wake up early to catch the first rays of the sun on the snow covered Himalyas. The orange hue of the mountains is one to keep as memory in your cameras! Once we have fed you with an energy giving breakfast, we set forth to Chopta. This is a gradual trek and takes 5-6 hours to complete, which however pass relatively quickly as you pass through the dense, cool forests and beautiful alpine meadows dotted with wild flowers. Arrive at Chopta and camp at outskirts. Meals and Overnight stay in Tents. Our target today is to reach the summit of Chandrashilla in time so that we can catch the panoramic view of the high Himalayan peaks in good light. The trek is mostly a gradual ascent through the maroonish-reddish dwarf rhododendron bushes. At the summit, take in a good look at the prominent peaks surrounding you from all directions. Almost every prominent peak of the Garhwal Himalayas can be spotted from here. To one side is Nanda Devi (7817Mtrs-the highest peak of Indian Himalayas), the other side is Kedarnath, Trishul, Banderpoonch etc. Each peak is a spectacular view and finds its mention in the myths and folk tales of the plains below. 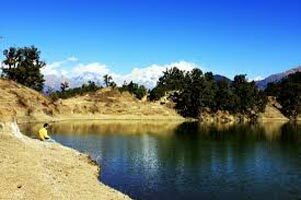 Explore the area and then trace your steps back to the camp at Chopta. This downward journey is far easier and we finish it in good time to camp again at Chopta.